Discussion in 'Fraggle Rock' started by Pig's Laundry, Jul 28, 2018. It's been a long and winding road for this movie as it was first announced by Henson all the way back in 2005! Since then, news for it has been sparse throughout the years. Various writers have been attached to write the film and then left the project, and the distribution moved from The Weinstein Co in 2008 to a studio called New Regency (the makers of the Alvin and The Chipmunks films and Free Willy) in 2011. In 2015, it was announced that actor Joseph Gordon-Levitt would be attached to the movie as a star and producer. So, it looks like this is still happening! And maybe, with the growing interest in puppetry, and the 80s nostalgia craze this may actually get off the ground really soon! Banjo man, cahuenga, ryan19 and 3 others like this. Banjo man, Pig's Laundry and ConsummateVs like this. 1). Produce a series of Youtube clips of 3-5 minute lengths. Release them about every 5 days or so. Make it an event; Have a countdown clock. 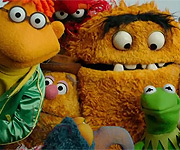 The main Fraggles only; No Gorgs, Doozers, Silly Creatures or supporting Fraggles (such as Cantus or Traveling Matt). Just the five main Fraggles at Fraggle Rock. An important point to get across: None of the five main Fraggles change personalities or design. They are the same as they were in the original series. 2). If the hype builds itself up enough, do a series of one-off "special" Youtube clips such as Fraggles reading off answers to questions or doing an AMA on reddit or the like. Make sure that the audience is aware that if this venture doesn't get eyeballs, the Fraggles are going back into storage and not coming back out until your grandkids are grandparents. 3). Package the Youtube clips plus some exclusive clips into a new product (DVD, etc.). The exclusive clips might have the extended cast of Cantus, Traveling Matt & the like (I would not have new cast members for Doc, Sprocket, Gorgs or Doozer... More on that later). 4). At this point, if all has gone according to plan, you've got a fairly sizable footprint: About 30 or so "regular cast" Youtube clips, maybe some one-off "special" Youtube clips (5 or so?) & a physical product that contains all of that plus about 10 DVD-exclusive clips. 5). Now you can go seek funding for larger products in the brand. You've got something to show producers that, "Hey, this brand still sells. Give us money for something bigger." 6). If you get the money, do a special (maybe on HBO since they're still showing Fraggle Rock?) one-off all-new episode of Fraggle Rock. For real. At this point, you still want to create this on the cheap. Still no Doozers, Gorgs, Silly Creatures or Sprocket. 7). All the while, keep the regular Youtube clips going but at a slower rate (once every 10 days?). Throw in an one-off "special" clip to coincide for holidays or major sporting events or the like. Nothing overtly topical but enough to get the point across. 8). Presuming that the special all-new episode worked and generated interest, now you can begin to entertain what a "limited series" might look like for financiers. At this point, we enter into purely subjective territory that will most likely not be viewed kindly by FR purists. Consider yourselves warned. The overall philosophy of this section is COST. You want to lower cost because you are attracting financial people who will pour over every detail. First, instead of Doc, it's a young adult female, probably not caucasian. The demographics skew better. Sprocket is a different species of dog, probably a smaller dog. Next, ditch the Gorgs. Put down the torches and pitchforks. Gorgs cost money and unless they do something really critical, they've got to go... At least, for now. Keep the property where the Gorgs are at (maybe the Fraggles grow their own turnips for now?) but just say that the Gorgs have moved on and, with greater success, a different family of Gorgs can move in. Maybe it's just an area now with Marjory the Trash Heap & Philo & Gunge. Let's talk about the postcards and Traveling Matt segments. Ask yourself what purpose they would serve in a modern setting. Sure, anytime that you can see how a different culture lives is a good time. Maybe Traveling Matt is a detective and is trying to find the Doozers and that causes him to explore Outer Space. Bottom Line: Let's not have these segments initially. 9). 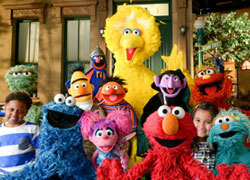 The first season of a revamped show is about 10-12 episodes. A special event type series. Each show is independent from one another with a very loose overall season story arc. The show is what could be labeled as a "soft reboot": It doesn't destroy prior mythology but it also conveniently plots it's own course with some of these characters as well. And there you have it - A modest proposal to rebuild the brand from where it is at the moment. As in life, there are no guarantees. There was no digital gaming touched upon but I would probably put an emphasis on getting kids involved with physical type activities, such as playing music with affordable instruments, painting, drawing, basic gardening (Grow turnips just like the Fraggles!) etc. so forth. Parents like it when kids do non-screen activities. Poke a lot of holes into this. Buff Beaker, BlakeConor14, Pig's Laundry and 3 others like this. I have never seen a more well-thought-out post on this entire forum. You deserve more likes. BlakeConor14, Pig's Laundry and Froggy Fool like this. For real. They've thought about this a lot! Is Harold43 Drtooth in disguise? It sounds a lot like something he'd write. Though we have to talk about the elephant in the room, who will perform the Fraggles? I can see John Tartagila, Karen Prell and Dave Goelz returning as Gobo, Red, Boober, and Uncle Matt. Steve is basically out of the question now. So, most likely Kevin Clash will inherit Wembly and Sprocket. Plus, I don’t know where Kathy Mullen stands. Plus, I don’t know where Kathy Mullen stands. Yeah, Kathy is mostly doing projects with her husband Michael Firth now, which I think is the reason she left Between The Lions. Most likely I think she may loop the voice but, I don’t see her actually performing Mokey. I'm trying to remember, who played Mokey at that event where Kevin played Wembley? I think it was Colleen something. EDIT: It was Donna Kimball. I'd like to thank everyone for their compliments to my earlier post. I don't really want to "rock the boat" but I also have a certain fondness for Fraggle Rock and I thought that I would share my thoughts on the topic. I keep trying to think of what more to add to what I have already written. Perhaps, most extensively, I would have some sort of data collection method for measuring online appreciation of the venture. This collection would be in the form, perhaps, of an exclusive forum while the initial YouTube clips were being displayed. There might also be a newsletter that people could sign up for that would give exclusive behind-the-scenes photos, preview photos of future skits and perhaps even a chance to incidentally influence the content of future skits ("What picture is Mokey painting in our next skit? You decide!"). The data collection would be used to, again, influence producers into displaying that the brand was viable for both adult fans and younger fans. Overall, I think that the strategy is still solid. I have my own thoughts on a soft reboot (really a continuation with minor retconning) but I don't want to upset anyone. The reboot would be soft enough that, should the hypothetical first season be successful, traditional elements would be reintroduced in the second season (with some minor retconning from the original series just to keep everything consistent). Poke all the holes that you'd like; It's all just discussion for now. Froggy Fool, ConsummateVs and Pig's Laundry like this. You know, I was just thinking that in this day and age, Boober would probably be the fan favorite, because he's "too real" and "perfectly sums up the human condition" . Which, i'm not complaining, Boober deserves more love, but yeah. I also think that some corners of the internet would be weirdly attracted to the fraggles?? But that's a different topic altogether. Though, they should make some web-exclusive postcards of Uncle Matt. It's ideal one of the easier ways to re-introduce the Fraggles. cahuenga and ConsummateVs like this. Keep the youtube sketches, but intersperses a handful of full episodes, songs, and other archival footage. It'll help new viewers get into the series, be easier and cheaper, and potentially boost dvd sales. New merchandise, once the youtube stuff runs its course do dvd sets that feature a handful of episodes and clips from the channel and exclusive clips, this brings in kids, fans, and fraggle rock enthusiasts who may already have these episodes. Potential for plushes, and all sorts of other merchandise that could fund future projects. Having interactive polls is a good idea on paper but adds extra expense and longer production times. Uncle traveling matt segments are relatively cheap and integral to the show. And Doozers are important in that theres recognition with the amazon series and keep the show intresting. I hate to say it, but the gorgs gotta go. Gorgs are expensive and not all that important or interesting. On a series scale perhaps uncle matts postcards could be delegated to youtube to keep costs down and have fraggles pontientally interacting with real world invents, or being used to promoye movies and such. Are there any updates on the movie??? If there was any updates, we would have used this thread. Buff Beaker and LittleJerry92 like this. The movie will come out tomorrow. Blue Frackle and Buff Beaker like this. Hey, least you got a sense of humor.